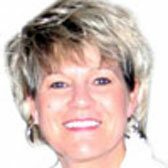 Kathleen Gage known as The Street Smarts Marketer™ owns and operates Turning Point, Inc. and Maxwell Publishing. She is an author; an Internet marketing and publicity advisor; and an award-winning keynote speaker. It's amazing how many people will develop information products before they even know if there is a problem and desire for a solution. Some people have spent months, thousands of dollars and expended tons of energy developing very complex programs only to find out what they thought the market wanted is not at all what they wanted. Low cost reports are one of the most cost effective ways to see how your market will respond to solutions you offer. If there is not an interest from your market for a low-priced report how do you expect to sell a high priced program to them. Developing a low priced report will give you a good indication if people are interested in what you are providing a solution for. Not only can you make money with the report, you can learn a lot about what your market wants this way. It's actually quite easy to identify the problem a specific market has.